Wow, I actually succeeded in UNLOCKING the BOOTLOADER,without even thinking of the risk of Bricking my Redmi Note 3 at all. For this one you can do without all those applying on the unlocking website procedurewith take ages to return you a code. 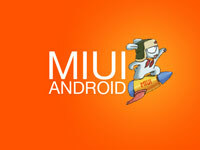 What I did was using MiFlashUnlock on my Stable ROM v7.0.19.0.LHNCNCJ (MIUI7) which it gave me an error message and I proceeded with the Dev v5.12.24 (MIUI7) which was successfully done to unlock the bootloader. NOTE: This tutorial is done on Redmi Note 3 MediaTek Helio X10 and the Unlocking of bootloader method remain the same for Redmi Note 3 Qualcomm/Snapdragon. If you do qualify, then go ahead with this. IMPORTANT: Updated 0200 Jan 15, 2016 – Tested and recommended by @rudi66 Credit & Thanks to his contribution. Swipe up on your Home screen, and key GPS on the search bar, and goto GPS satellites, select High accuracy, make sure it looks like the screenshot below. Launch your browser, goto i.mi.com on the URL bar and hit enter, sign-in, as shown below, until you get to see “Find device” and launch it. Re-run the Mi Flash Unlock tool again and see whether you get thru. After it is Done, as shown above, press restart button to reboot to system, or press and hold your POWER button for 10 second to exit Fastboot mode. Disclaimer: DO IT AT YOUR RISK. Flashing can potentially bricked or bootloop your device. It works. I followed this guide and result was successfull!!! I tried it connected and disconnected in fastboot mode, I still get the same message. finally i can root my note 3!!!! yeah!!!!!!!!!!!!!!!!! I did it and I can confirm it worked for me. Redmi Note 3 32GB. Again thanks. don't mind sharing with us, how you did it? Cool... You got it already? Hello. I finnally success to unlock bootloader. Thanks. when I tried unlock on Official dev rom 5.12.31, it didn't work. then I tried SphinX v1d stable rom (7.0.22.0). Miflashunlocktool unlocked bootloader. What's the problems on official dev rom? It successed on many Redmi Note3 with SphinX v1d. haha. I don't know why it works on custom stable rom and why it doesn't work on official dev rom. Can i copy your info to Korean Mi forum? i will link your original info. and sure i will change... dev rom to custom stable rom..
My English is not the best because i'm a student, but i hope it will be understandable. I suffered a lot with the bootloader unlock, but i think i found the solution for the 50% problem!!! I installed the 6.1.14 developer ROM. Log in. The automatic login don't work (I don't know why) tap hide, and type the password. After that you have to verify the phone with an SMS code, and you will access evry function from the phone browser. Turn on GPS , in the browser--mi account chose the find phone app and locate your phone. After 10 days I received sms approval to unlock the bootloader. Everything went well.Sorry for my English!!!!! Thank you for your help, Master! After ten days I successfully unlocked my BL and got TWRP recovery on my device! Just an advice for everybody: I didn't stuck at 50% because I logged in with my email in flash unlock because I was logged in forum with email, too. i found the device on my laptop and phone. account is active. gps accuracy is set to high. i login with my account number. Trying to reach diamand level to unlock bootloader. I can do this with Rom SphinX v2b Stable? why should we reply everytime? I and many other friends, regardless of your frustrated assumption, has worked flawlessly. If you are the unfortunate lot, there nothing we could do and this tutorial is meant for those who want to leap further.